Amidst recent hype about events in the Middle East, there have been few attempts to get below the surface and develop a fuller understanding of what politics means there. 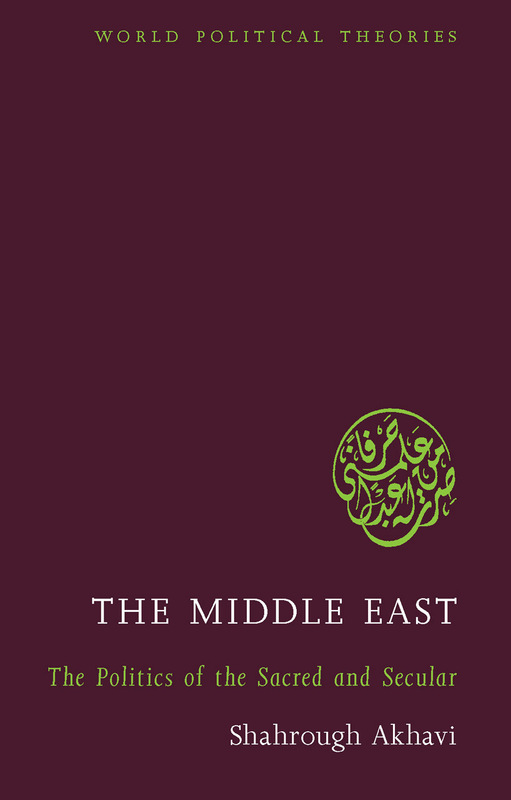 The Middle East: The Politics of the Sacred and Secular redresses this balance and provides essential historical and theoretical context. In this book, Shahrough Akhavi shows that the way people think about politics in the Middle East has developed in response to historical experience. Islam has obviously played a pivotal role and the book does much to disentangle myth and reality about Islamic responses to politics. Refreshingly, however, the book focuses on the universal concepts of the individual, civil society, the state, justice, authority and obligation and how these have been interpreted by Middle Eastern thinkers in the twentieth and twenty-first centuries. Akhavi builds a dynamic picture of a politically exciting and engaged region. The fresh perspective this book brings to global political theory, and the background it gives students of politics in the Middle East make it an important addition to the World Political Theories series.